Armed with a simple digital camera also you can make a video that can generate thousands of views. Just a bit of planning and vision on your part can help you come up with an impactful video that can easily get, even with zero promotion, thousands of hits every month on YouTube. Statistics speak out the answer to this question. 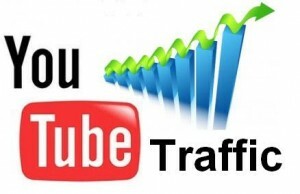 This video sharing site is the most visited after Google and Facebook. It sees millions of visitors every month. It is still a fertile ground and you can easily find keywords on which videos have not yet been made or very few have been made. The best part is the more hits your video gets; the more it gains visibility on YouTube. The visibility is determined by the popularity of the video. By embedding the video on your site, the traffic on your site however little it may be will in turn boost the view count and help you gain visibility on YouTube. The list of recommended videos that keeps getting updated is enough to get traffic to your video. You could even use Youtube’s keyword tool to know the keyword phrase that is being searched most by people. You can create the most impact making videos in little or no cost. 2. You could shoot an interview or conduct some interesting discussion. 3. Whiteboard videos are very easy to create and quite popular too. 1. Carry out research on the videos that have already been made on the subject. This will help you deal with the subject in a different way to make it unique and stand apart from the competition. 2. Use unique title and description for your videos. An interesting title will create curiosity in your audience and a creatively written description will make them want to see the video. 3. Before speaking into the camera jot down the important points on which you are going to talk and improvise on it as you speak. This will make the video look natural and not scripted and such videos connect easily with the viewers. 4. Do not forget to include the keywords that you want to target and use them in the title if possible. 5. Leave your viewers with a call for action. You could actually ask your viewers on YouTube to connect back to you with an email address or post a query on your site so that it is not just views and you actually get leads from the video posted on YouTube.